Before being appointed Ambassador to the United States, Dr. Hamdullah Mohib served as Deputy Chief of Staff to H.E. The President of the Islamic Republic of Afghanistan. The role included oversight of the spokesperson’s office, the office of correspondence and diplomatic communications, protocol office, petitions office, and the Presidential secretariat. During his tenure at the Presidential Palace, his role involved liaison with governmental counterparts and drafting of bilateral and multilateral agreements. Dr. Mohib also engaged in the substantive preparation and implementation of official presidential visits to Azerbaijan, Belgium, China, Germany, India, Iran, Nepal, Pakistan, Russia, Saudi Arabia, Turkmenistan, United Arab Emirates, United Kingdom and the United States as part of the administration’s strategy for geopolitical and economic integration. 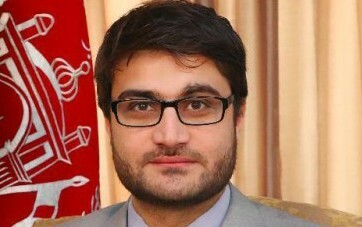 Dr. Mohib led the presidential negotiating team for several inter-government cooperation agreements and the formulation of Afghanistan’s national development “Realizing Self-Reliance” reform strategy.